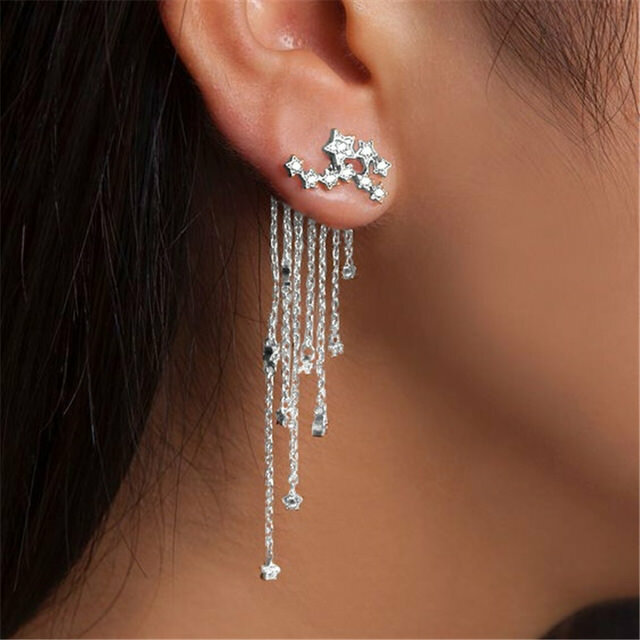 This Star Streamlined Tassel Crystal Earrings is simply stunning! Such a beauty…a must have!! Show your wife, girlfriend, daughter or that special someone that you care with this stunning necklace. Free Shipping!!!!!!! This Star Streamlined Tassel Crystal Earrings is simply stunning! Such a beauty…a must have!! Show your wife, girlfriend, daughter or that special someone that you care with this stunning necklace. This earring will go with everything in your closet, from your day-to-day office attire, to your evening wear, from your casual workout clothes, to jeans and a T-shirt! Just show your own style in the crowd!